Happy Friday! Hope everyone has fun fall plans this weekend. I'm dragging my family to the pumpkin patch since the weather is supposed to be perfection. They don't know it yet, but we're definitely doing the corn maze too! The Blended Blog book club is going to take a little hiatus until after the first of the year, but we hope to be back with some great selections. Let me know if you'd like to join us. I was a reading slacker this month, and I have no idea why. Not sure what I was doing instead of snuggling up with a good book, but I only managed to read two in October. 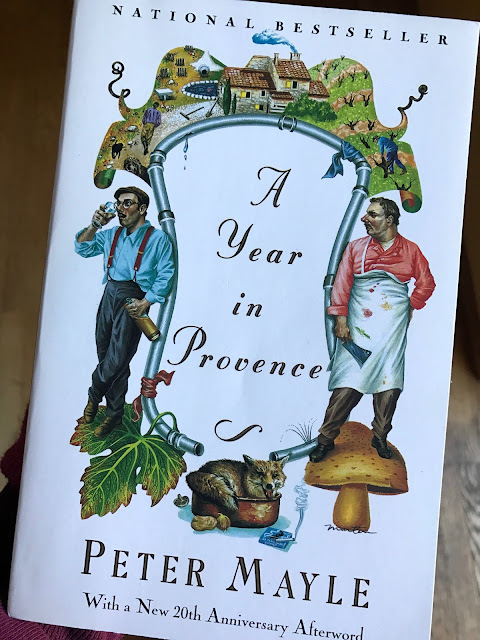 First up was finishing A Year In Provence by Peter Mayle, about a British couple who purchase a home in France. I really enjoy travel books, especially ones where the characters immerse themselves in the culture and jump right in with the locals. Although this book felt a little outdated, it was also charming and witty. Honestly, who doesn't dream of leaving everything behind and moving to the French countryside? Thumbs up. 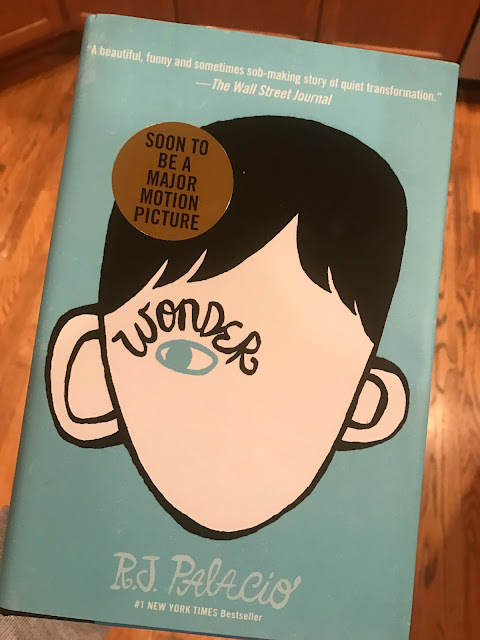 Our theme for October was "books that have been made into a movie", and I was finally ready to read Wonder by R.J. Palacio, which will be out in theaters November 17th. I have to admit I'd avoided reading Wonder. 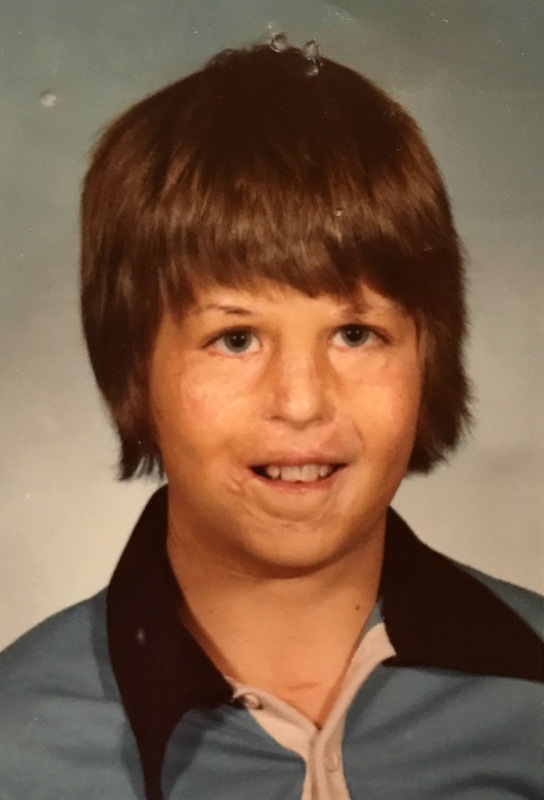 My cousin Scotty was severely burned at the age of four by a fire that jumped from his parent's BBQ to the sandbox he was playing in. Even after many months in the hospital and countless surgeries, his face and ears remained disfigured. Scotty was bullied and made fun of his entire life, and he only lived to be 21. When I saw the trailer for the movie, I was shocked at how much the little boy playing Auggie looks like Scotty. And I knew it was time to finally read the book. I shouldn't have waited so long. Wonder is completely wonderful. As Auggie leaves home schooling behind and heads off to middle school, he's afraid of how the other students will respond to his abnormal looks. What happens next will make you laugh and cry and give you a little faith in humanity. We can all learn something about bravery from Auggie, and friendship from Jack. I only wish Scotty could have found someone like Jack in his short life. He might still be here today. Wonder is the most heartwarming book I've read in years, and everyone should read it. Two big thumbs up. 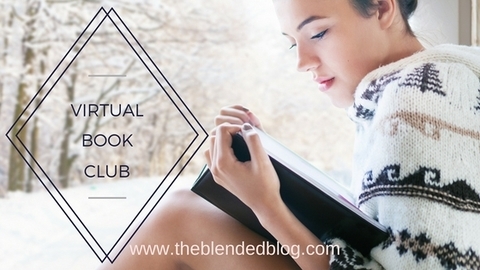 Head over to The Blended Blog to link up your book related posts. With the book club on hold, I'd love suggestions for what to read next! I loved Wonder and am anxious to see the movie. The story about Scotty broke my heart but I bet he had the sweetest one and I'm sorry you lost him young. Love ya girl, have a great weekend! Wow! I do see the resemblance of Scotty and the movie Auggie. What a touching story about your cousin. Hoping that reading Wonder brought great memories of your short time with him! Oh wow, I so understand why you avoided Wonder, I haven't read it yet but intend to. Bless your heart, bullying is so hurtful and heartbreaking for everyone involved. I went to school with a boy who was severely burned and he wore a mask on his face and the rest of his body was completely covered by compression garments, I was in junior high. It always made me sad to see him,we had no classes together and from what I could tell he had friends but I always wanted to cry for him. I'm not sure whatever happened to him. There's so much we can't control in this life but the words we speak can be, I just don't understand cruelty. Can't wait to see the movie! My mom is forcing me to read Wonder because she said it's so good. I have little time to read, but I make that time. So I'm in! I've seen the trailer for Wonder too and knew it was a movie I wanted to see. Now I know I should read the book as well. Scotty's story breaks my heart. My son was burned badly on his leg last year by a pot of coffee. Luckily for him it was just a few days in the hospital and he ended up not even scarring, but it just showed me how very quickly accidents can happen and change things in an instant. I'll have to watch Wonder and maybe even read the book, it sounds like a beautiful story. I wish Scotty had found a sweet friendship too. I can't wait to read wonder. I have 2 books to read and then its up! Seeing the previews has really motivated me to get to it as fast as possible. Glad to see your 2 thumbs up review. Reading your comments is one of the best parts of blogging! I read and appreciate them all! I'm a 40 something freelance writer and mom of two boys, married to my high school sweetheart and living in the Pacific Northwest. I love fashion, reading, being outdoors, and traveling....and I write about it all!